There was a taste of spring around the traps last weekend after the Kris Lees Racing trained GRAFF (pictured) was an impressive winner of the San Domenico Stakes at Rosehill. It was just the start to a good day for the stable who teamed up with Australian Bloodstock on the Sunshine Coast when TAWFIQ BOY saluted. A big thrill for the Tim Martin Racing team after James Innes' DANAWI went one better and won the Monaco Stakes in a thrilling finish! The ever so classy and speedy DON'T GIVE A DAMN was also a winner first-up from a spell for Danny Williams Racing. Edmonds Racing had a day out on the Sunshine Coast after FROM WITHIN bounced back to winning form while Ryan Maloney also got the best out of DEER MOUNTAIN who was an $18 blow out in the last! Well done Gollan Racing who put the polish on STRATURBO who was back to his best for a ninth career win for Elite Thoroughbreds . Congratulations to Perth clients Gangemi Racing and Lindsey Smith Racing Stables on your doubles. KHAN and the highly spruiked CRYSTAL SPIRIT got the Gangemi stable on the board while Lucy Warwick partnered REYKJAVIK to an all the way win and Glenn Smith did the same on PRIZE CATCH for Belhus Racing Stables. Donna Riordan Racing also took out the opener when PATRISTIC broke out of maiden grade. 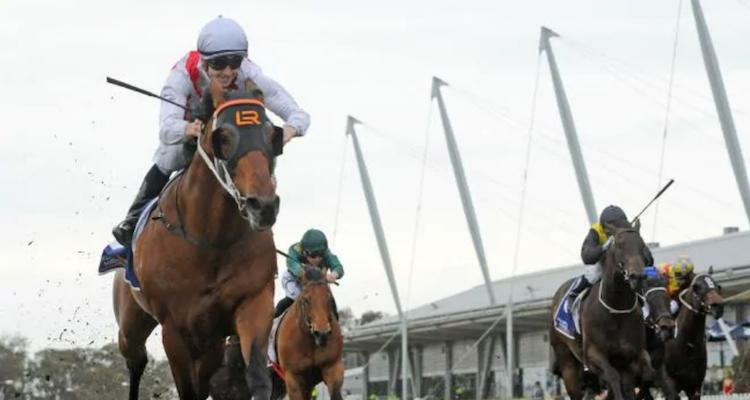 Racing was at The Valley in Victoria and MERRIEST got the day off to the best possible start for Danny O'Brien. The victory of SWEET ROCKETTE was a massive thrill for Michelle J Payne Racing who at just her second start gave her jockey her first city win as a trainer. Meanwhile, Jarrod McLean Racing certainly has ex-Perth galloper TRAP FOR FOOLS back in good form with a dominant staying performance. In Morphettville, Leon Macdonald & Andrew Gluyas teamed up with Raquel Clarke to get the job done with SUPER SWOOP. MODULATE made it three wins on the trot for Richard Jolly Racing while Niki O'Shea & Ashton Downing teaming up with Alfred Chan got the job done when DEXELATION took out the lucky last. Winners a plenty at Thoroughbred Park leading into the weekend with Keith Dryden & Scott Collings kicking of the day's proceedings. A double from Nick Olive with stable mates SUPREME POLARITY and DYLAN'S DEEVA, while Luke Pepper, Gary Kirkup, Joseph Ible and Joe Cleary all celebrated in the winner's circle. Across the Tasman and it was a win for Graham Richardson and Gavin Parker at Te Aroha with LETMEBY, while on Sunday Adam Trinder prepared another Tasmanian double in BEAUTIFUL BOY and KYOGLE SON. A shout out also to our South African trainers Mike de Kock, Brett Crawford and Glen Kotzen who prepared winners this weekend.